Photo MCRC-5.1. Capt. 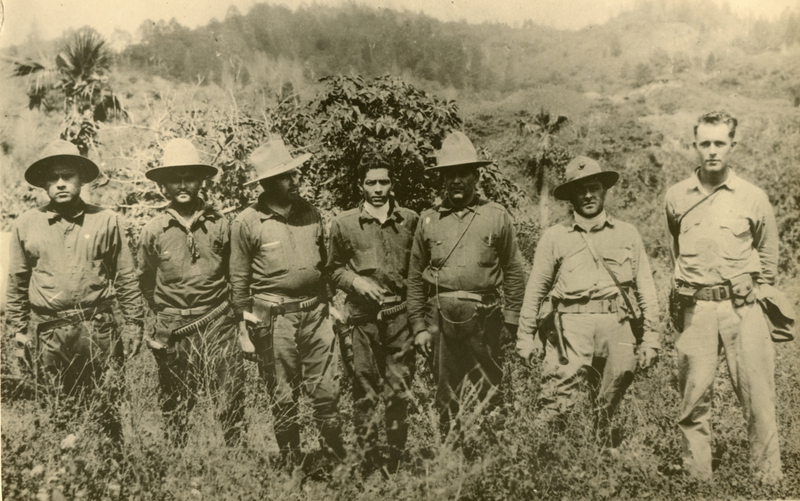 Stockes with five Voluntario officers (& Lt. Dawson). Caption on rear: "Lieut. 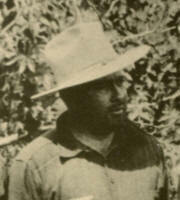 Manuel Magragigi, Vol. / Capt. 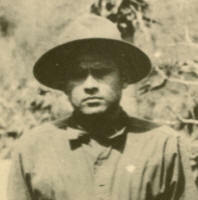 Jose Espinoza, Vol. / Colonel Cordero, Vol. / Colonel Castillio, Vol. 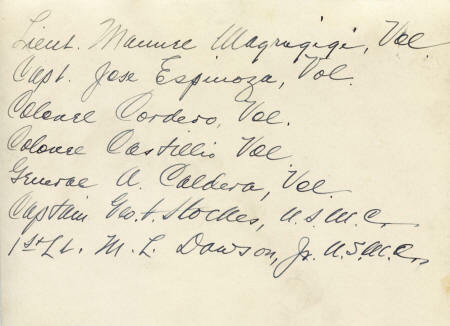 / General A. Caldera, Vol. / Captain Geo. F. Stockes, U.S.M.C. 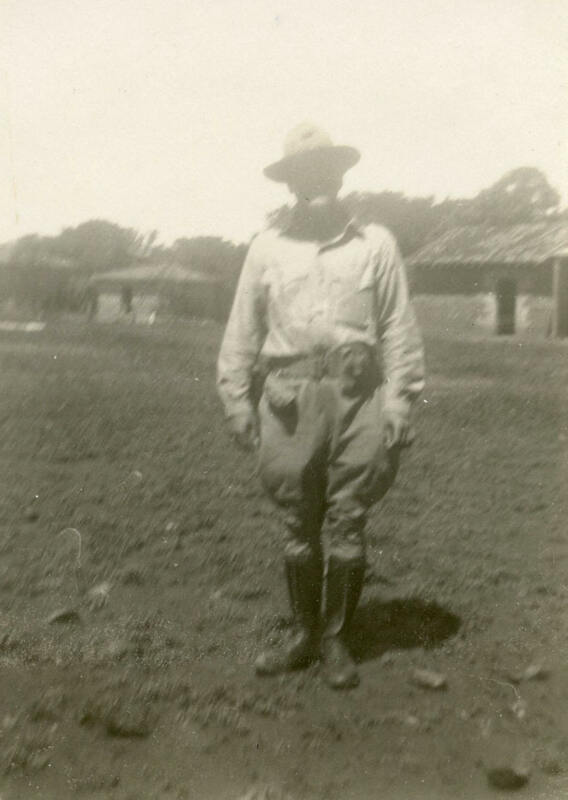 / 1st Lt. M. L. Dawson, Jr. U.S.M.C." 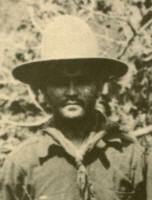 Lt. Manuel Magragigi, Vol. Capt. 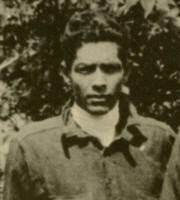 Jose Espinoza, Vol. 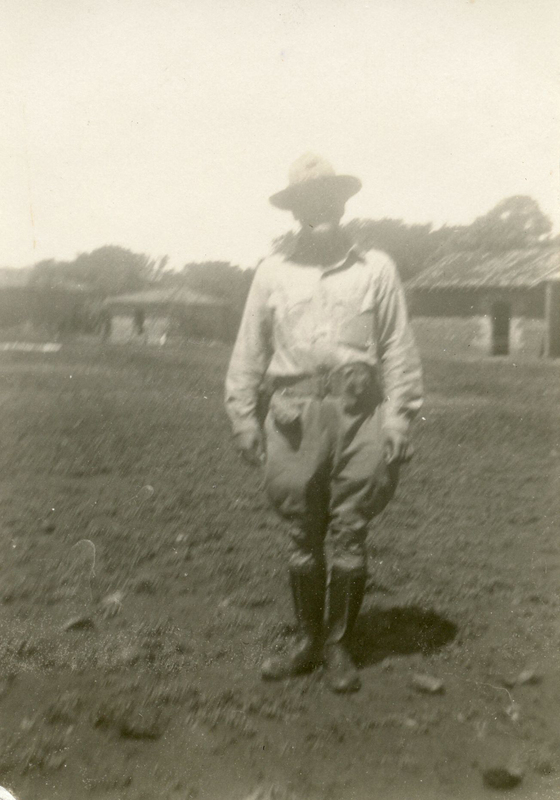 Col. Cordero, Vol. 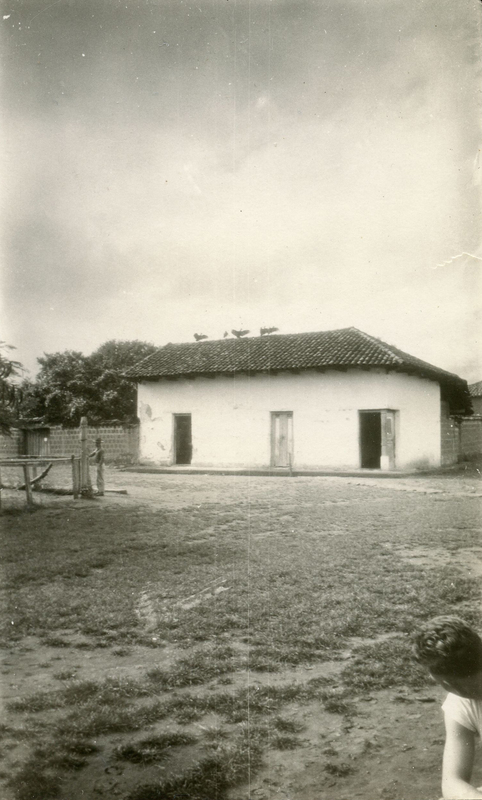 Col. Castillo, Vol. 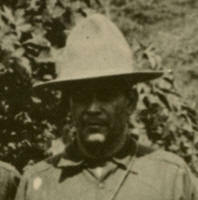 Gen. Augusto Caldera, Vol. Capt. George F. Stockes, U.S.M.C. 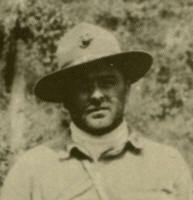 1st Lt. M. L. Dawson, U.S.M.C. Photo MCRC-5.2. 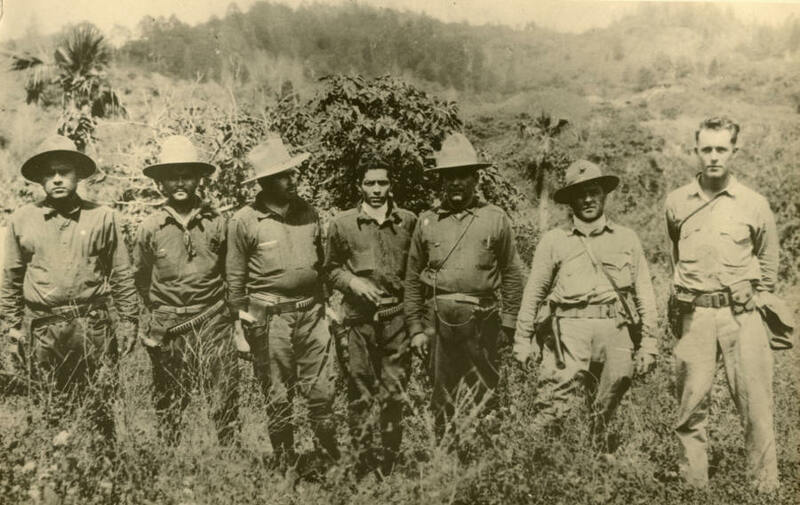 Patrol to Parades in the Honduran borderlands. Photo MCRC-5.3. Troops clambering up hillside. 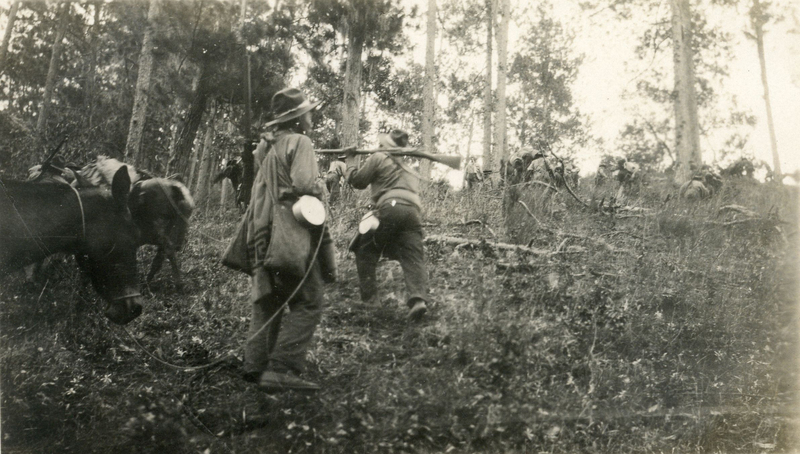 Troops on patrol clambering up a mostly treeless Segovian hillside. No caption, no date. Photo MCRC-5.4. 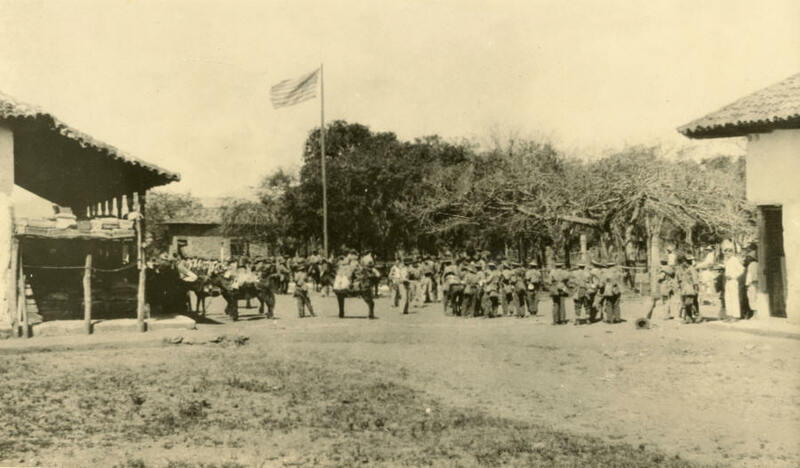 Voluntarios & Marines in Somoto. 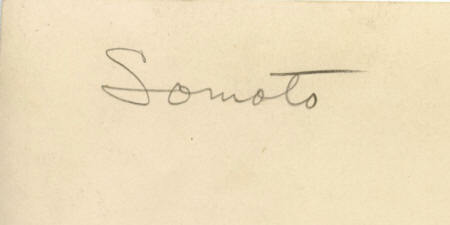 Caption on rear: "Somoto". 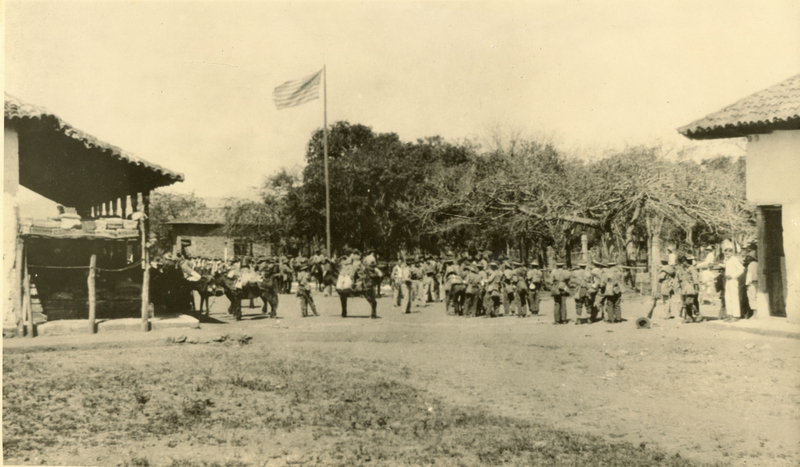 Troops in formation, apparently Voluntarios preparing for inspection by Marines. Photo MCRC-5.5. Marine looking at buzzards on roof. No caption, no date. 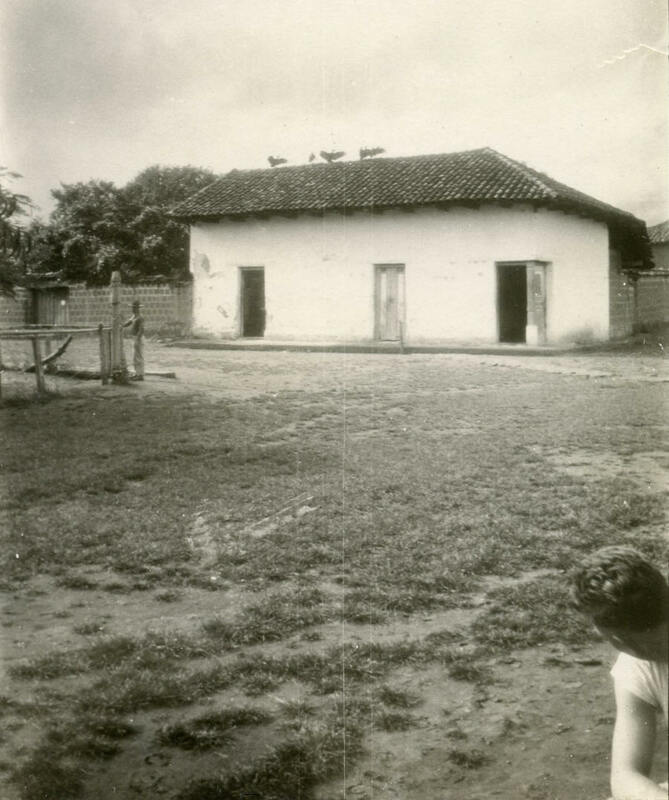 Marine in foreground, turned around to look at the buzzards (zopilotes) on the roof of a building, perhaps a barracks, with a second Marine standing by corner of a corral. Photo MCRC-5.6. Blurry photo of Segovian mountains. No caption, no date. Somoto Valley? 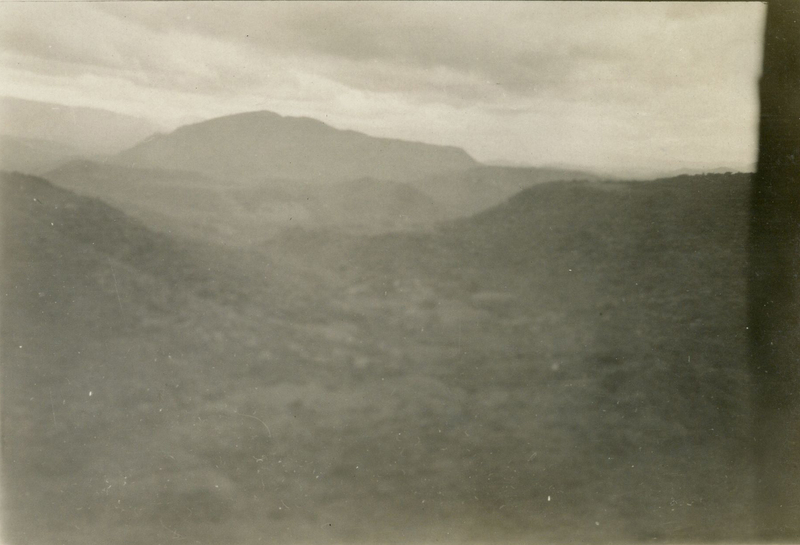 A blurry panorama of Segovian mountains. Photo MCRC-5.7. Marine posing in compound. No caption, no date. Unknown Marine posing for photo in compound. Photo MCRC-5.8. 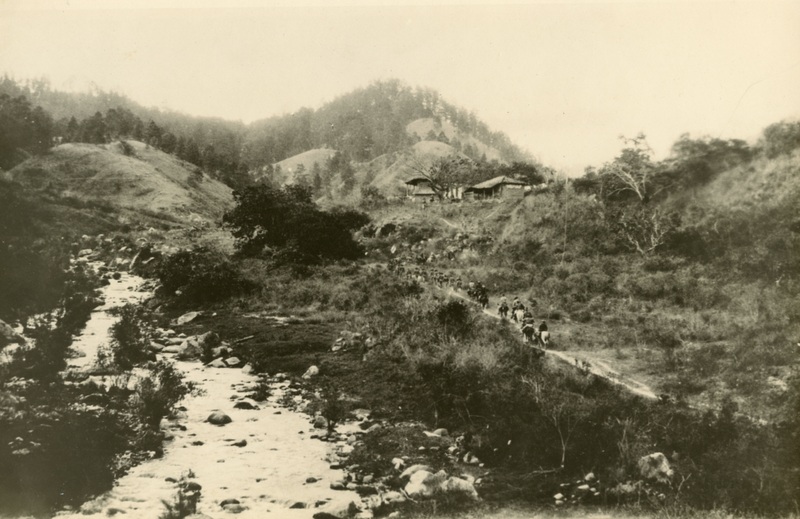 Voluntarios on patrol ascending a hillside. No caption, no date. 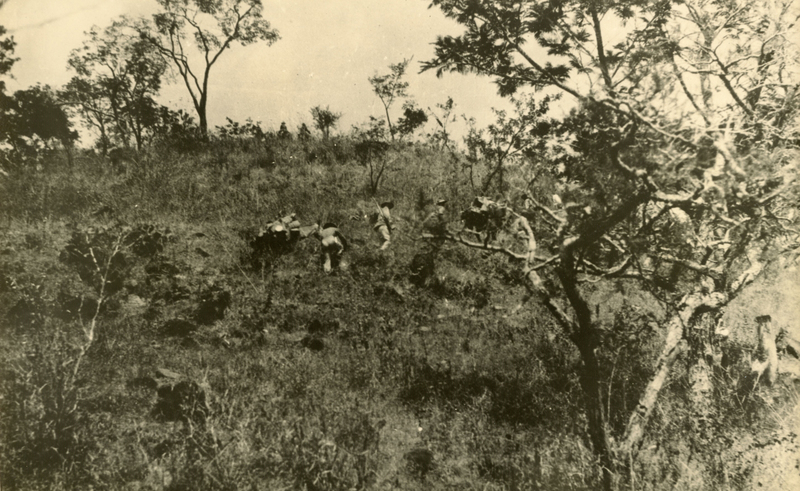 Troops on patrol, apparently Voluntarios, ascending a hill. Photo MCRC-5.9. 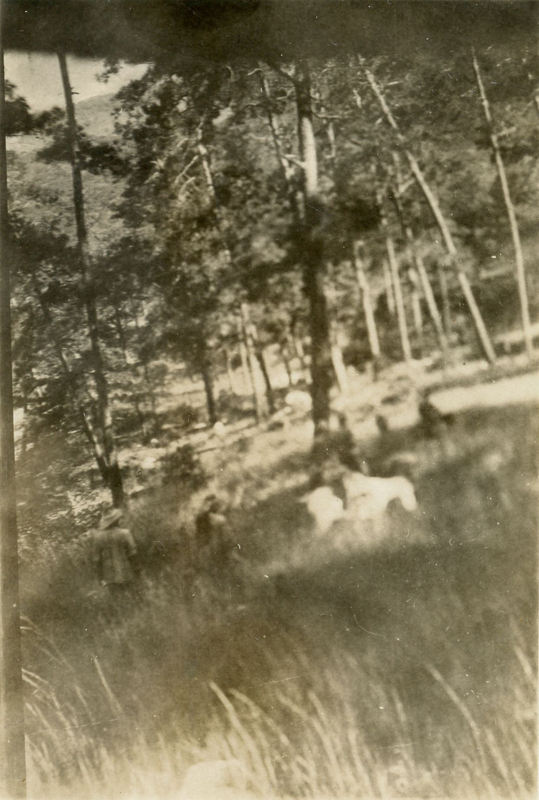 Blurry photo of troops on patrol. No caption, no date. 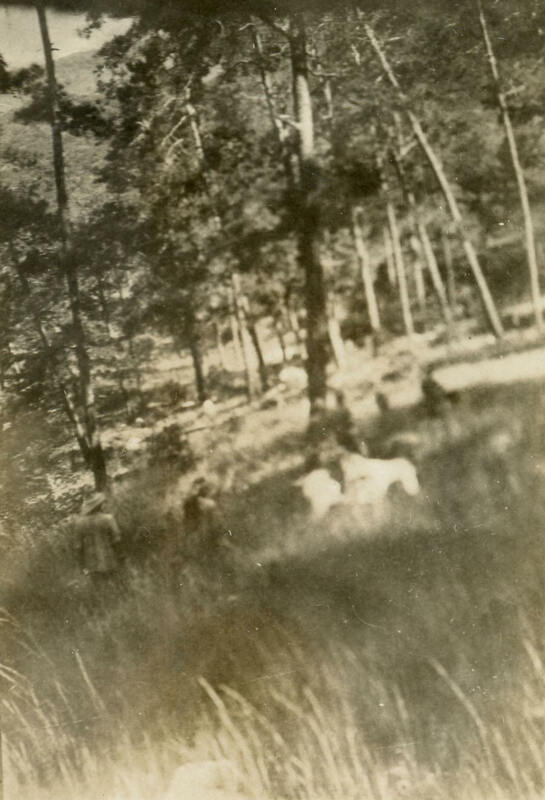 Blurry photo of troops on patrol. Photo MCRC-5.10. 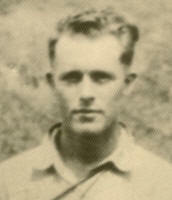 Colorized photo of Capt. 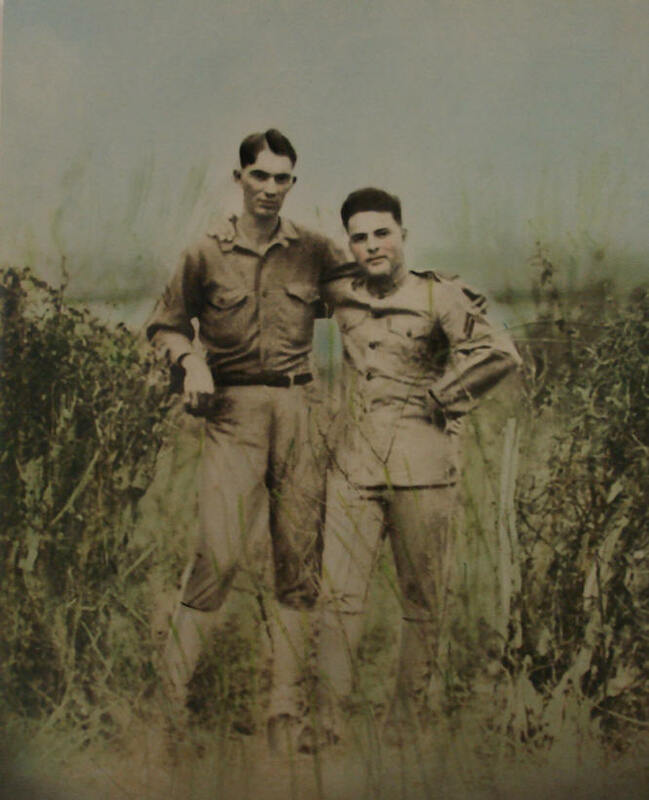 Stockes and another Marine officer, posing arm-in-arm in the bush. END OF STOCKES PHOTOGRAPH COLLECTION.